The museum will be on S. 2nd Street. 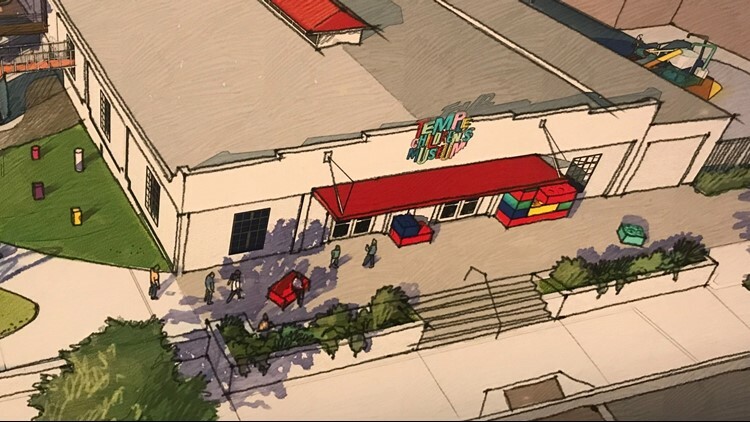 The Temple Children's Museum, which currently travels throughout Bell County without a permanent home, announced Friday it had secured a building in downtown Temple, where it plans to move in the future. The museum's physical location will be located at 214 S. 2nd St.
Museum leaders said several donors had provided enough funding that the Temple Children's Museum was able to purchase the downtown building outright, which will allow any future fundraising to go directly toward exhibits and special features. "We knew we wanted to be in the downtown area, and finding the right spot was very important," founding museum board member Susan Chandler said. "Touring this building showed us all of the potential it had for hands-on-learning spaces for the children in our community." Chandler described the building as exactly what she imagined when considering a permanent site for the traveling museum, which currently markets itself as a "museum without walls." Renovation plans are in their early phases, and the museum's board is working with the City of Temple to develop the green space around the building into a space that is inviting for families. The Temple Children's Museum organization was launched in 2017 by five Temple mothers who wanted to open a place where parents and children could play in a manner that inspired a love of learning. The board of directors has grown to include 15 community volunteers. Click here to follow the museum's journey on Facebook.